Looking for the BEST toddler activities and printable games for kids ? Looking for lots of fun outdoor games for kids or maybe preschool arts and crafts ? Then your in the right place! You will find lots of stuff to keep your little one busy and happy for hours. Plus you will find lots of useful parenting tips to help with those difficult times we all go through. There are lots of things to keep your toddler happy and amused. Such as Free Toddler Games, we have the old favorites like "musical bumps". Then many more games that have "free printables" that get them to think about shapes, colors and things that go together. You will find some starter toddler jigsaw puzzles that you can download and print off. If you're just after kids games to play online then this is not the place for you. This site is all about other fun stuff you can do with your toddler that does not involve staring at a screen. They will be spending too much time in front of the TV and PC before too long. So you will find lots of activities on this site that will help with developing your toddlers skills. Such as language, math, shapes and color recognition. They will also learn social interaction far better with these kind of toddler activities. that's something they will get very little of from playing preschool online games. Your little one should	play toddler games online but in very small doses. They should learn how to use computers at a very early age. It's part of the modern world, however most if not all child care expert agree too much solitary time in front of a screen is not good psychologically or health wise. All our free printable downloads are super safe PDF files. So no nasty suprises afterwards, so print off as many games, puzzles and crafts as you want. Talking of toddler crafts reminds me if you have a boy (or even a girl, equality these days) then take a look at the Free printable pirates hat. It is a really popular one with the little ones. You will find lots of tips and advice on good parenting skills and some bad parenting skills that we all pick up occassionaly (even me). There are some "real life examples" showing what can go wrong and how to deal with it and make improvements. There is always room for improvement no one is perfect all the time. Enough of the serious stuff a lot of this site is about doing FUN stuff with your toddlers. Playing and learning together and enjoying new things. After all who says learning has to be boring. There are plenty of toddler learning activities here that will not even seem like real work. Your little ones will be having too much Fun to with these toddler activities to even realise. Really FUN toddler games for YOU and THEM. Great toddler play ideas for little or completely FREE preschool activities. So if your toddler is driving you crazy then there's lot of really fantastic toddler play ideas for you both to try here. What exactly are good parenting skills ? We are not born with these skills, we acquire parenting skills as we grow up through eexperience and advice from our family and friends. We all lack in some experience when raising children. We may even at times feel we have bad parenting skills. These FREE toddler games will give your children hours of fun. These are some of the kindergarden games you will remember from whaen you where little. Free printable downloads with easy to follow instructions. All these are great for any toddler party games or just if you have extra little people over the house. The BEST kids face painting ideas are all here for you to look at also get some free face painting ideas. I'm sure I don't have to tell you fun kids have with this toddler activity. Take a look at these face painting examples below and see if you what you think. Some delicious finger foods for toddlers that can be served up in minuts. These are really great for busy moms and dads. These kids recipes will get you off to a flying start and make toddler mealtimes more of a breeze. Really FUN toddlers activities for YOU and THEM. Great toddler play ideas for little or even completely FREE. Preschool activities that will keep everyone happy. So if your toddler is driving you crazy then there's lot of really fantastic toddler activities for you both to try here. Free coloring print pages for your toddler to enjoy. There are lots of different kinds for every occasion. These are one of the all time favorite activities for toddlers. So for fun activities for toddlers these coloring pages are a great way to keep your toddler occupied. Easy crafts for kids that cost next to nothing or completely free kids crafts. Take a quick look over these toddler crafts below and find one to get you started. Some of these can be fun crafts for kids as well as being great toddler learning activities. You will find some of these crafts are free coloring print pages. 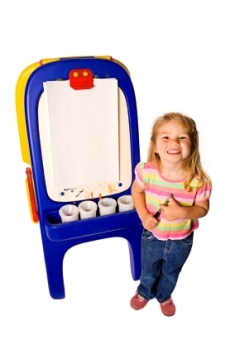 Sometimes the simplest toddler activities prove to be the most popular. 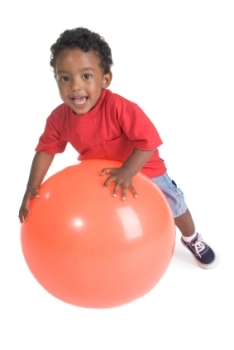 These free simple toddler lesson plans will help you to monitor early child development. Often in the daily rush of family life we miss the little things that are so important. Using toddler learning activities (most things toddlers do really) and observing and making short notes in a structured way. This gives you a written map of your toddler behavior and how your toddler is progressing. Find all your Free Preschool Printables here all in one place. There's lots of really great stuff to print off and enjoy. You will find coloring print pages of every kind that are free to use. Simply click on and print off it's that simple. There are lots of printable games for kids to enjoy such as jigsaws, kids treasure hunt game, Kids card games and many more. Find of Free Preschool Printable worksheets here all in one place. There's lots of really great stuff to print off and enjoy. 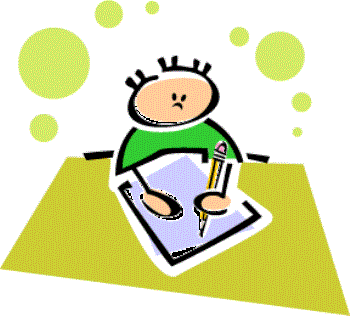 You will find a preschool worksheet to suit many toddler learning activities. Simply click on and print off it's that simple. There are lots of printable learning activities for kids to enjoy such as learning shapes, matching games, plus many morepreschool learning games listed below. These free simple preschool lesson plans will help you to monitor early child development. Often in the daily rush of family life we miss the little things that are so important. Using toddler learning activities (most things toddlers do really) and observing and making short notes in a structured way. This gives you a written map of your toddler behavior and how your toddler is progressing before starting school. So what are the big toddler milestones to look out for ? Should I be concerned if my toddler has not reached some of the milestones yet ? When should my toddler learn to speak ? You can find the answer to these and many other questions right here!